The Prime Minister, Peter O’Neill said he is looking for a higher level of intelligent public debate in the tenth Parliament as important legislation is presented. 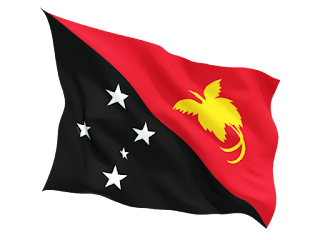 PM O’Neill made the comment as the agenda is being prepared for the next Parliamentary sitting, and the Government prepares to deliver APEC Papua New Guinea 2018. “While there are so many very capable Members in the Parliament, there is a small group who just want to play disruptive politics,” PM O’Neill said. “I am hearing disquiet from within the opposition that their various leaders have declared they will try to block all legislation. “That level of immaturity is one of the reasons they are in Opposition and not in the Government, and is causing deep dissent in their number. “The Tenth Parliament is a fresh start, an opportunity to deliver legislation that will further advance our Nation. “If they ever want to be taken seriously, the Opposition will need to debate issues properly. “The Government does not need their numbers for a simple majority, and they will all have to make a choice when it comes to issues requiring an absolute majority. The Prime Minister said as planning intensifies for APEC, he expects the Opposition to think of the Nation ahead of self-interest. “We witnessed disgraceful behaviour in the lead-up to the Pacific Games where those in Opposition chose to rubbish the Games at every opportunity. “They said the Games would be a failure, that the grandstands would fall down and that the Games would not be delivered on time. “Despite all of the Opposition’s loud noise, we delivered the most successful Pacific Games, changed the Nation’s sporting infrastructure and our people are proud of what we achieved. “We will deliver a very safe and cost-effective APEC, that will enhance attitudes towards Papua New Guinea and our economy. “We will welcome the Presidents and Prime Ministers of countries accounting for more than half of global trade and investment. “Our people gain will greater access to technical information and capacity building in key sectors such as agriculture, fisheries, tourism and women in the economy. “With more than 15,000 delegates visiting Papua New Guinea over the coming year, they will spend more than 100 million Kina on travel and hospitality in our country. “The ball is in the Opposition’s court if they want to be mature and responsible, or the disorganised group of loud-mouthed individuals we saw on the first day of Parliament.